"EMPOWERING OUR COMMUNITY THROUGH HEALTH & FITNESS"
The Camp Transformation requires a few things when you sign the contract for the 6 Week 20lbs Challenge, such as: the upfront cost, commitment, nutrition plan, check-ins, changing your FB picture to the challenge and post a review. While it may seem a lot, but if you are determined, as I was and still am. The trainers and staff truly care about all challengers and members. They push you to the limits. I lost 7.1 the first week with healthy eating and intensive circuit exercising, by the 3rd week, I was in a lull. I continued to eat on the plan, exercise and do my own extra cardio. By the 5th week I was concerned U wouldn't lose the 7 pounds to hit the goal and either get refunded or roll over to a monthly member. Helen, a staff member, put me on a strict nutrition eating plan to make it.....by Saturday, I weighed in and lost 20.2 pounds!! The Camp was exactly what I needed to gear me into a healthier lifestyle. I have signed up for my first Spartan Race in December and will conquer that too! I'm incredibly thankful to The Camp and all staff, including members and challengers are a family. If you're thinking it's a scam, you're dead wrong. They don't advertise, we, the members and challengers are the advertisement! 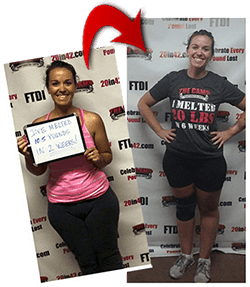 The staff and trainers are awesome and their one and main objective is to help you reach your goal. You can always reach out to them for any questions you may have as well as everyone involved. If you really want a change in your life this is the place all you got to do is take the 1st step into changing your life, listen to what they tell you, work your buns off and everything they say it's gonna happen will happen because they truly care for you and are committed to help you at all times. I just finished my 1st challenge lost a bunch of inches and melted 26.7 lbs in 6 weeks and I feel so happy because all the hard work really paid off now I'm ready for my 2nd challenge and ready to lose more lbs and inches and gain more health & strength believe me this really works and in a very magical way so if you're interested open your eyes, ears and heart and start your transformation now I'm ready to see where my 2nd journey takes me I'm loving it!!! 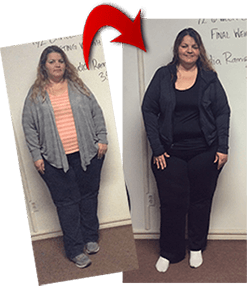 I just completed my 1st challenge and lost a whopping 24 pounds in 6 weeks! This is the same 24 pounds I have been trying to lose for 10 years with diet pills, starvation diets and every crazy tactic out there. But losing the weight simply came down to clean eating and exercising. I am not only thinner, but I am stronger. My body is toned and I no longer have excruciating back pain so I can skip having that disc replacement surgery! The gym attracts a great group of people who all are there for the same purpose. Everyone encourages each other to stay positive on their weight loss journey. What's I really like is how the trainers do all the thinking for you. You don't have to figure out what exercises your going to do and it's never redundant. All you need to do is get your self to the gym 5 times a week and push yourself for 50 minutes to get a great work out in. The workouts are exhausting and the food is not exciting but it's the best food for our bodies put on this earth. I feel great with more energy and ironically sleep better than ever. Best of all, I like what I see in the mirror. I want to see how else my body can transform in such a short amount of time, so I have signed up t do another challenge in January! !